At mr sauna Ltd we are not ALL about new saunas, sometimes we take what you already have and wave a magic “sauna wand” over it ! 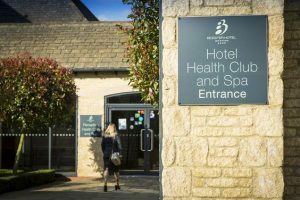 We recently visited this lovely hotel and spa to take a look at their sauna, and to give a couple of options to either replace the existing sauna with a completely new one, or to breath new life into the existing sauna with a complete internal refurbishment. 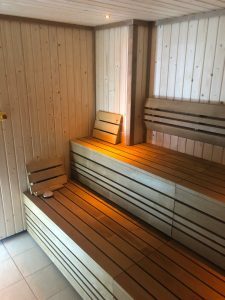 You will see from the photo’s that its impossible to detect that the sauna is not completely new, as all the internal walls and ceiling, bench seats and even the heater, control and light fittings are new. 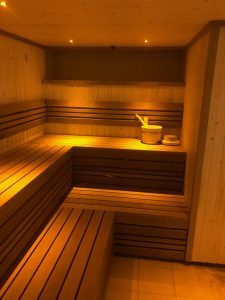 The completed sauna refurbishment, complete with LED lighting.